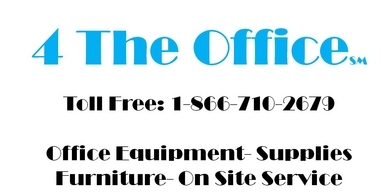 4 The Office is an Authorized Xerox Channel Partner and proud to offer Xerox black and white laser and production printers. You will always receive excellent pricing and service after the sale. Sales, Leasing, Service, Repair and Maintenance. If you would like a proposal, simply click on the link in the device description below. 4 The Office is an Authorized Xerox Channel Partner and proud to offer Xerox black & white laser, color laser and production printers. You will always receive excellent pricing and service after the sale. Use our Online Quote Builder to request your Xerox Phaser 3250DN Proposal. Use our Online Quote Builder to request your Xerox Phaser 3320DNI Proposal. Use our Online Quote Builder to request your Xerox Phaser 3330DNI Proposal. Use our Online Quote Builder to request your Xerox Phaser 3610N Proposal. Use our Online Quote Builder to request your Xerox Phaser 3610DN Proposal. Use our Online Quote Builder to request your Xerox Phaser 4622DN Proposal. Use our Online Quote Builder to request your Xerox Phaser 4622DT Proposal.